Robert Marcel is no Earl. He is no Duke nor king’s son, but a simple minstrel. Though with the spirit of a roaring lion, he wonders about the lands with his most prized possession: the lute. As fate would have it, he happens across a particular place whereupon he rendezvous with a cherished childhood memory; the lady whom he could never forget. Lady Marguerite of Winbourne is destined to marry the undesirable Earl of Saxton, but not once could she remove from her mind the thoughts of a particular young man who had fled for his life so long ago. She had saved him that one day, and as time would generously have it, threw them together once more. Ever since recognizing him down in the village outside the castle walls, her heart has only known love’s thrills once more. The title alone lured me. It promises the adventure, the thrill, and the curse of ill-fated love. There has to be a way for them to end up together. Right? As I dug into the folds of the sumptuous court entertained with jesters, acrobats, and minstrels, I was easily flighted into the pages of history and intrigue. Joyce DiPastena has woven a rich world with a rich plot, with amazing prose and characterization. She has done an excellent job with each person starring within the stage of her book. She has done a swoon-worthy job! 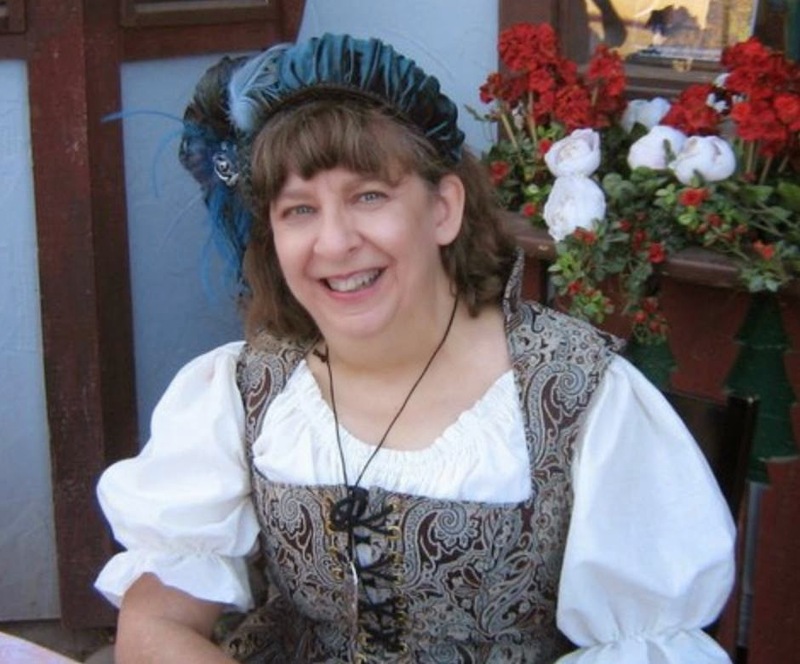 Joyce DiPastena dreamed of green medieval forests while growing up in the dusty copper mining town of Kearny, Arizona. She filled her medieval hunger by reading the books of Thomas B. Costain (where she fell in love with King Henry II of England), and later by attending the University of Arizona where she graduated with a degree in history, specializing in the Middle Ages. The university was also where she completed her first full-length novel...set, of course, in medieval England. Later, her fascination with Henry II led her to expand her research horizons to the far reaches of his "Angevin Empire" in France, which became the setting of her first published novel, Loyalty's Web (a 2007 Whitney Award Finalist). 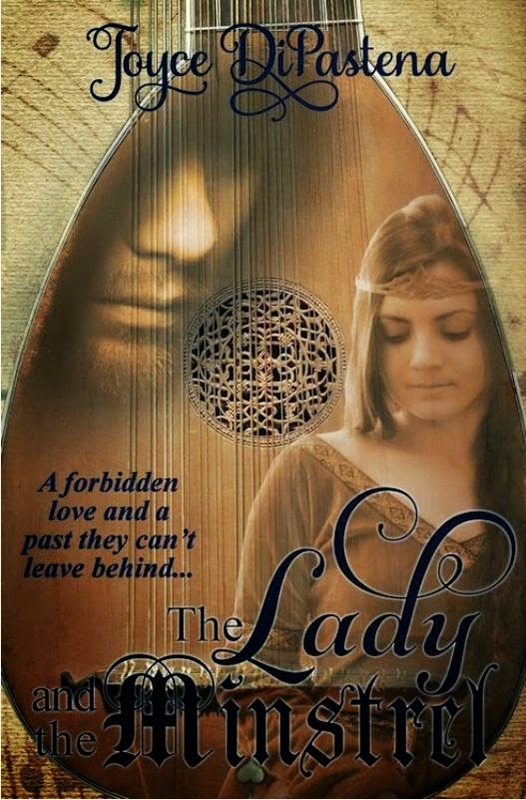 The Lady and the Minstrel releases January 29! 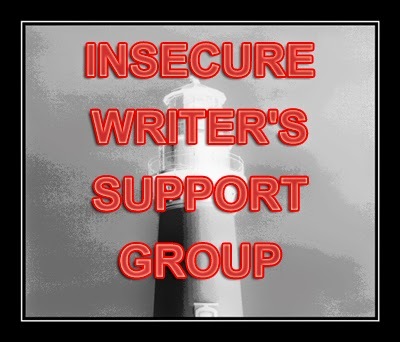 For IWSG, I had posted an old email cry for help and feel that it is only fair that I post the response from my friend. She is published with one of the Big 5 and her reply surprised me since I wasn't sure what to expect as an indie author. What I have learned since is that it doesn't matter which publisher you are with--big or small--you are always expected to push your own book. Unless your name can carry you as a big brand in itself, but that rarely happens! I'd love to hear your methods of finding sanity in this busy world! Okay, I can tell from your email that you're suffering. I see a lot of red flags here. There's an easy way to get your life back into balance (well, easy for someone on the outside). Stop everything you're doing in publishing and take a step back. Maybe two or three. Yesterday, I happened across this email to a good friend, and was flabbergasted about how stressed I was 3 years ago over my first book's release. I had forgotten so much! I thought I'd share it because I know I am not the only one who's gone through this. I don't know how to begin to share with you what I've been battling. I feel that you're one of the best people I can confide in and you'll see why in a second. I'm grateful that the Lord has led me to my little publisher, it has taught me a lot about what being a writer is once published. My spirituality has been strong. I always put the Lord first, then my family, then myself. Always. There's never been a question on what should come first. Since my book was accepted by this little publisher, my priorities have tremendously shifted! I've been working overtime to promote my book as much as I can so much to the point that it's mentally drained me. I find it overbearing to take in more than that--a simple thing such as visiting teaching seems to tip my entire balance to a screaming level of no-can-dos because of how mentally exhausted I am from working hard for my book. You can imagine how this has upset my family balance as well as my spirituality. I've been making eternal choices that would've appalled myself a year back because my head isn't in the right place right now and I find it terrifying now! I find it stressful to know that my book isn't where books are sold everywhere and wish it was, having to scurry about to see if other libraries or small bookstores--even a distributor--would carry my book. My current book has some grammar mistakes, which I know wouldn't be there if my publisher had done a better job at editing. I'm losing myself in here! I wonder if it's because I'm resisting my 'fate' as an author to a small publisher, or if it's my spirit calling out for help, that this isn't for me anymore. I'm bringing this to you to see how being a published author is like for a big publisher. Do you find yourself constantly worrying about promoting your book on an hourly basis? What's the most thing you have to worry about as an author--outside life excluded? I wonder if I'm being foolish for thinking about withdrawing from my small publisher and plunging into the query world again for my current book. My spirituality is suffering because I'm spreading myself out way too thin. Oh, how I admire self-published authors because they have the guts to take on the entire war all by themselves. I'm finding out very fast that I'm not that kind of person, it isn't me--being in a small indie publishing company as I am in now. I'd love to hear your thoughts, what you might recommend for me and how to go about doing what you feel I should do--I really need some insight. I've been praying and asking my husband for blessings over my circumstances. Or am I just being ungrateful? Wow, I can't believe how fast time has come, how fast time goes! Here it is already January of a new year. I really don't believe in waiting for a new year to fall in order to set new goals. I am always setting new goals, but I know it is a fun thing to look back upon the year and say, "I did that in 2015!" What wondrous goals do you have for 2015?